People often hesitate between Miami and Los Angeles when it comes to holiday or permanent living. These cities are very different, but are sometimes very similar too. What city in Europe looks like Newport Beach, Orange County in California? They are famous for their beautiful coasts, nice weather, luxury houses and modern skyscrapers. The world film industry has led us to dream about them. Most of these movies are far from the reality, but Miami and Los Angeles are still among the most desirable cities in America. Miami has an advantage over Los Angeles because of its closer location to New York, the Caribbean, Europe and South America. Miami’s location on the east coast significantly shortens the time spent in travel. The location of Los Angeles would be an advantage in case you regularly have to travel to Mexico, Asia or Australia. The terrain in Florida is pretty flat. For this reason, many people describe it as dull compared with LA. The spectacular panoramic views that are so typical for the northern suburbs of the large Californian metropolis are completely missing in Florida. The steep slopes in the northern parts of Los Angeles attract affluent buyers who want every evening to watch the sun set over the Pacific Ocean. Los Angeles is famous for its beautiful beaches. Malibu, Zuma and Venice are names that do not need advertising. South Beach in Miami, however, superior all the beaches in Los Angeles. Unlike the cold ocean water in Southern California, the Atlantic Ocean along the coast of South Florida is always warm and suitable for bathing. Also, if you are fond of swimming, Los Angeles is little disappointing. In LA, except the cold water, the waves are often too large and only suitable for surfing. Unlike LA, the waters around the coast of Miami are usually quiet, without big waves and have lovely blue color. Los Angeles and Miami are quite different as regards their climatic conditions. In Miami the weather is hot in summer and warm in winter. Relative humidity is very high in summer and this creates discomfort in many people. Heavy rain showers are quite common and during the period from May to October it is difficult to live without air conditioning. The weather, however, is really nice during the winter months, offering pleasant temperatures about 24°C. For this reason many well-off people from all around the world come here to spend the winter season in warm, sunny and exotic atmosphere. The weather in Los Angeles is usually very dry, clear and sunny with scanty rainfall. If you come to LA from Miami the weather will probably seems to be fresh and even cool. 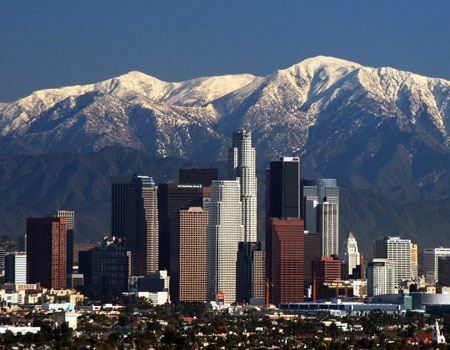 Unlike Miami, Los Angeles weather is more pleasant in the spring, summer and autumn, but cooler during the winter season. Most people find that LA’s weather is more comfortable, while South Florida is a better place to spend their winter holidays but all depends on your personal preferences. Miami is much greener city and boasts lush tropical vegetation that flourishes perfectly thanks to Florida’s year-round warm and humid weather. Coconut palm trees are a common sight. In Los Angeles, the vegetation is much scarcer, and it is even sad that LA is one of the most devoid of vegetation cities in America. Lush foliage in LA there is only in the higher-laying parts of the city, especially in some of the more expensive neighborhoods. The biggest danger in Miami, Florida comes from the hurricanes that occur during the summer period. Their power is tremendous, and their consequences are often disastrous. In Los Angeles the danger comes from sudden earthquakes and frequent forest fires, which sometimes happen pretty close to residential areas. The only difference between LA and Miami in this respect is that Florida’s tropical storms can be predicted, while the earthquakes that hit the western coast of America always happen without warning. Los Angeles is certainly more expensive city, with higher taxes and prices in every respect. In Miami you can get a much larger quantity of goods and services for your money and this will improves your quality of life and standard of living. Despite the impressive achievements of California in renewable energy sources, Los Angeles is a huge city and very difficult to navigate without a car. The traffic in LA creates perfect conditions for formation of dense smog over the busiest parts of the city. For this reason, Miami enjoys much cleaner air, cleaner streets and generally cleaner environment. Los Angeles and California in general is considered to offer greater opportunities in education compared to Miami and Florida. It is also believed that California’s universities are better, although we must not underestimate Florida‘s universities, which are undoubtedly among the best in the world. Los Angeles is considered one of the cities that offer the largest and diverse business opportunities. A large and rich city like LA undoubtedly means more customers no matter what your business is. Parties and entertainment lovers will surely feel better in Miami and there is nothing surprising. However, Miami is known as the largest resort in the world. For this reason there are thousands of restaurants, beach bars, clubs, casinos and discos to choose from. If you like shopping you’ll probably prefer Los Angeles because there is something for everyone, including one of the most expensive streets in the world – Rodeo Drive in Beverly Hills. 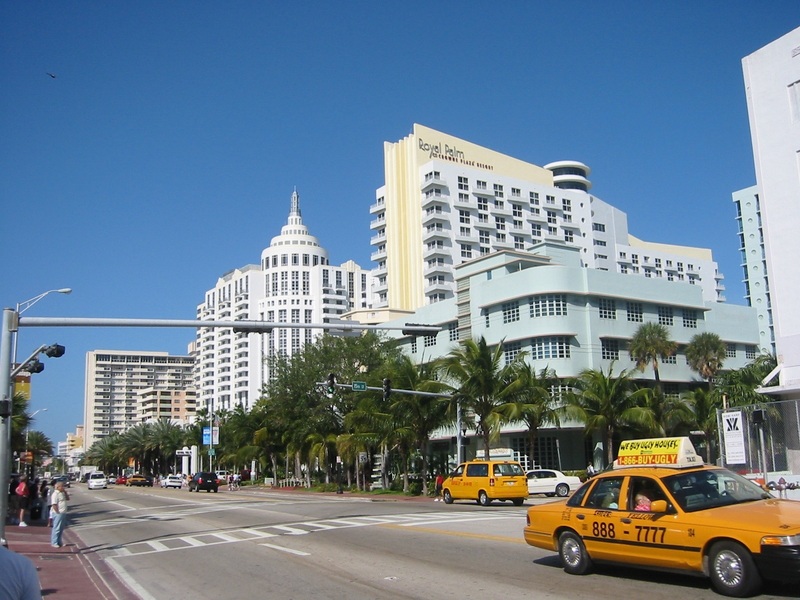 Overall, the city of stars is Los Angeles, but the possibilities for entertainment make many Hollywood celebrities to spend much of their free time in Miami. In addition, there are more places where you can see by chance one of them, especially if you walk around South Beach. Furthermore, many celebrities live there year round. The entertainment industry is better developed in Los Angeles. In fact, if we should be quite accurate, we have to say that LA is the city with the most developed showbiz in the world. Even New York and London can not be compared with it. Los Angeles and Miami are typical American cities with tall skyscrapers and extensive residential neighborhoods. In LA there are areas with very strong Mediterranean heritage in regard to architecture, especially in some expensive suburbs and neighborhoods with a higher standard of living. What place in Europe has the same climate as Southern California? The most interesting architecture in Miami can be seen in Miami Beach. This is an amazing place with stunning Art Deco style architecture. Both cities have their dark side. Poorness, crime and violence are things that present in the ghettos of Miami and Los Angeles. For this reason, there are neighborhoods that it is advisable to avoid. However, it is believed that Los Angeles is generally more dangerous than Miami. Los Angeles is a huge multinational city with people coming from all parts of the world. Miami itself is considered to be one of the most multicultural cities on the planet. Approximately 60% of today’s population of Miami was born outside the United States. You can imagine what a blend of ethnicity, religions and cultures offer the streets of this city. The population of Miami’s urban agglomeration is about 4.9 million people. Los Angeles, for comparison, is one of the 20 largest cities in the world. It is home to approximately 16.4 million people. The overcrowding that torments the city of Los Angeles can be felt mostly at rush hours. Although smaller in population, Miami looks a lot livelier. Moreover, here, unlike LA, you can see much more pedestrians. The residents of Miami and Los Angeles, however, are busy and not always friendly. The reason is probably the fast pace of life that often over strain the population of the big cities. Los Angeles has some disadvantages, but it certainly is considered the most attractive destination in the U.S. as regards the real estate market. Expensive neighborhoods with luxury mansions for millions of dollars are not one or two. Bel Air, Beverly Hills, Holmby Hills, Hollywood, Malibu, Santa Barbara and many other neighborhoods and suburbs turn LA into the most attractive place in the United States for buying property. What Place is the Best Alternative to California?